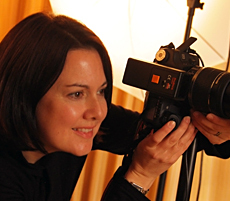 Photography Course Videos - Barrett & Coe Professional Photography & Training Courses. Our photography course videos feature just some of the many ex-students we have trained who have gone on to launch their own successful photography business. Learn more about our extensive photography training, marketing and business skills, on-going support and commitment to our photographers. All those featured own and run highly successful Portrait and Wedding Studios across the UK.